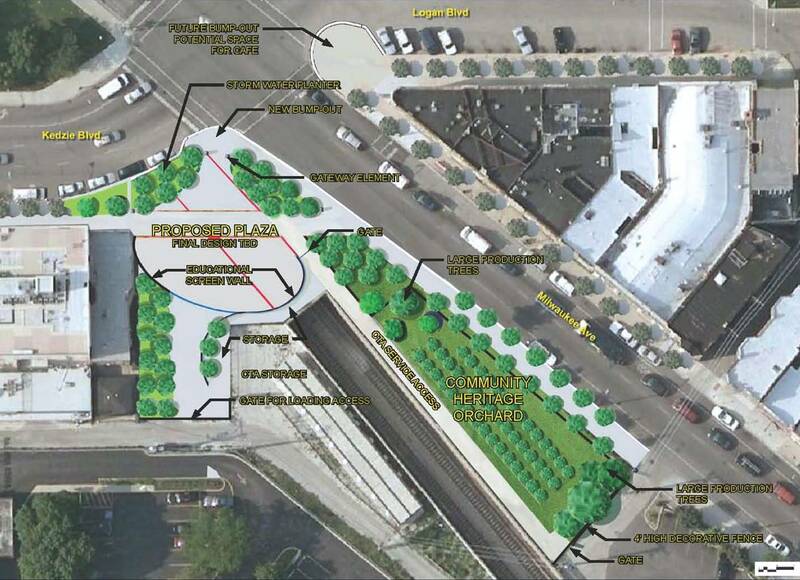 The meeting began with a tag team presentation of the current proposal that includes the orchard. Nelson Chueng of the city’s Department of Zoning and Land Use Planning confirmed that, besides the original idea to host the farmers market on the site (now determined to not be feasible), the city has not yet looked at any other alternatives (also see Process below). To state the obvious, the lot is oddly shaped. It looks a bit like a bottle opener to me. It fronts Logan Boulevard and as such it is part of the Logan Square Boulevards Landmark District and subject to review by the Commission on Chicago Landmarks. The north end of the site, once a bustling terminus to the CTA “el,” now sits over the entrance to the “el” subway tracks, thus making it difficult to construct a building there. Though not impossible? (Note this reference to the old station house remaining on this corner even after the extension of the subway). Any use of the southern, linear, portion of the site must maintain a 12 foot setback from the CTA wall (where the mural is). At its narrowest, the southern portion of the site is 45 feet deep from Milwaukee Avenue. A bus stop will remain at the southwest corner of Logan Boulevard and Milwaukee Avenue for the southbound 56 Milwaukee bus. John MacManus of Altamanu Inc., a consultant to the city, explained the current proposal (image above; click on image for larger view and ability to zoom in) that includes a public plaza on the north end of the site, which would be expanded by reclaiming the right hand “slip lane” on east bound Logan Boulevard, and an orchard on the south end, the more linear portion of the site. The proposal is conceptual; nothing written in stone. The plaza portion includes what they are calling a decorative educational screen/wall that would separate it from the orchard to the south and screen some storage also south of the wall. North of the plaza, across the sidewalk, some type of stormwater planter is envisioned (perhaps spurred on by what some are calling the Great Flood of 2010? ), along with some type of element signifying a gateway to Logan Square. 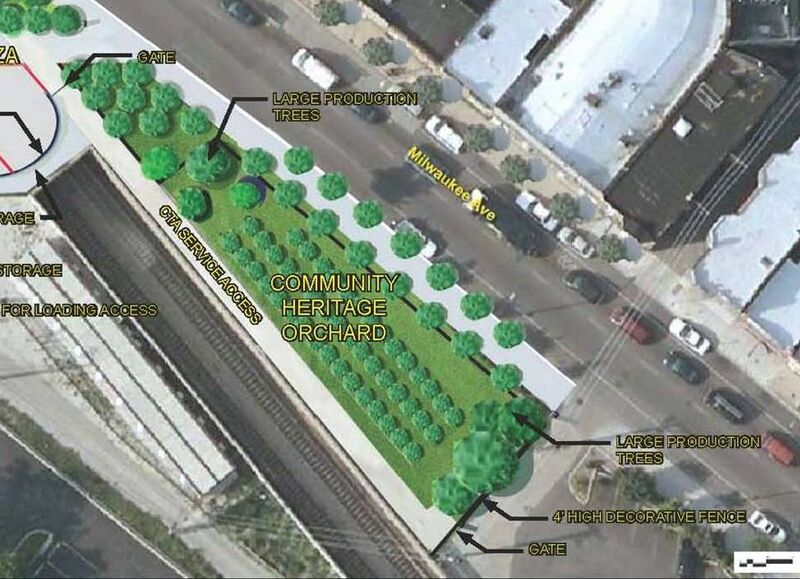 The orchard portion is set back 12 feet from the CTA wall and would be surrounded by a 4 foot high fence. Dave Snyder of Chicago Rarities Orchard Project (C.R.O.P.) explained that C.R.O.P. is currently growing dwarf fruit trees that would grow to 6 feet to 14 feet in height, which it hopes to plant at this location. The first significant tree harvest would be 2015. Nelson Chueng of the city’s Department of Zoning and Land Use Planning also noted that there would be architectural lighting on the site. C.R.O.P. plans to open the site to the public at a minumum on Sundays when the farmers market is open. The city owns the site (at least most of it; there was a snafu with a small portion of the site that the city was working to obtain from the CTA and I’m not sure if title has been transferred), but if this proposal goes forward, it would deed the site to NeighborSpace. NeighborSpace would hold the site in a land trust in perpetuity, as it desires to protect the site and others it owns from development. It would reach a memorandum of understanding with C.R.O.P. to serve as the management entity of the site. A majority of attendees seemed to favor the proposal, though they seemed to favor inclusion of the orchard because it was an orchard, not because it was the right place for an orchard. (Of course it could be because no other proposal was on the table.) The opposition and/or concerns generally seemed to fall in two areas: site maintenance of the orchard and the lack of openness of what is being called open space. Con: John MacManus also talked about how a linear public space was difficult without a destination at each end, and the overall proposal does not provide that. Con: The proposal is all passive space, and C.R.O.P.’s mission to start community orchards in Chicago has nothing to do with the health of Milwaukee Avenue. Pro: C.R.O.P. plans to use the orchard for education and outreach, which will bring some people to the site. Pro: There are water lines that could be tapped into to serve the orchard. Con: It was not made clear who would be paying for the water hook up and use. 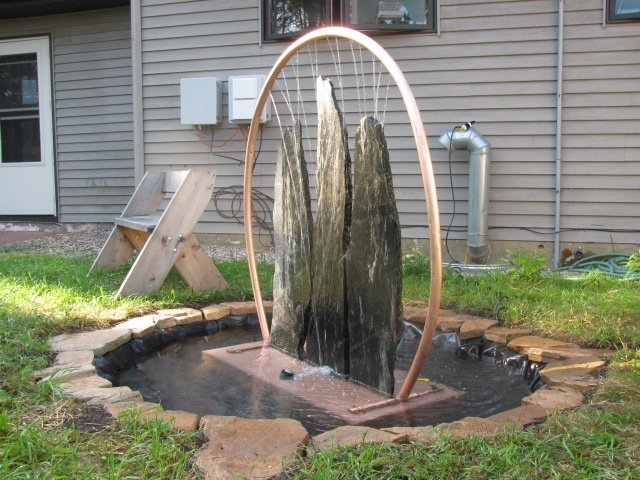 Con: NeighborSpace prohibits fountains in spaces it owns, which prohibits any sort of water feature being part of the plaza. Con: The fence keeps the orchard area from being public open space. Pro: A suggestion that there be an accessible pedestrian path meandering through the orchard. Pro: Dave Snyder said they would be happy to remove the fence and have it open to all after some years. Con: NeighborSpace seems reluctant to eliminate the barrier to access based on experiences with other spaces they own. Con: Potential appeal to vagrants. Con: C.R.O.P. is a new organization without a track record and is all volunteer run. Pro: C.R.O.P. folks are passionate about their mission and have been working hard to address a myriad of issues. Pro: If C.R.O.P. 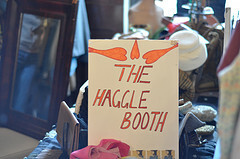 fails and NeighborSpace could not find another management entity, the city would have first right of refusal. Con: NeighborSpace’s mission precludes it from allowing any type of future development, even if that’s what’s necessary for the neighborhood 10, 25, 50 years from now. Con: The process should allow community members to brainstorm ideas for the site (see more below), rather than just respond to one proposal. And this meeting was not widely publicized. The city should consider (and should have considered) alternatives for the site. As I’ve done a little more digging into it, it looks like it’s not that C.R.O.P. thought a vital commercial corridor is where we need to put an orchard. Rather, after turning C.R.O.P. down for several other sites, the city agreed to help it find a site, and this is what it came up with. The city has apparently been considering this option since November 2009. That would have been the appropriate time to come to the community for suggestions for alternatives in lieu of the farmers market. It’s still not too late to do so, but I don’t think the city has any plans for it. So by all means make any suggestions here and directly to Nelson Chueng with the city. 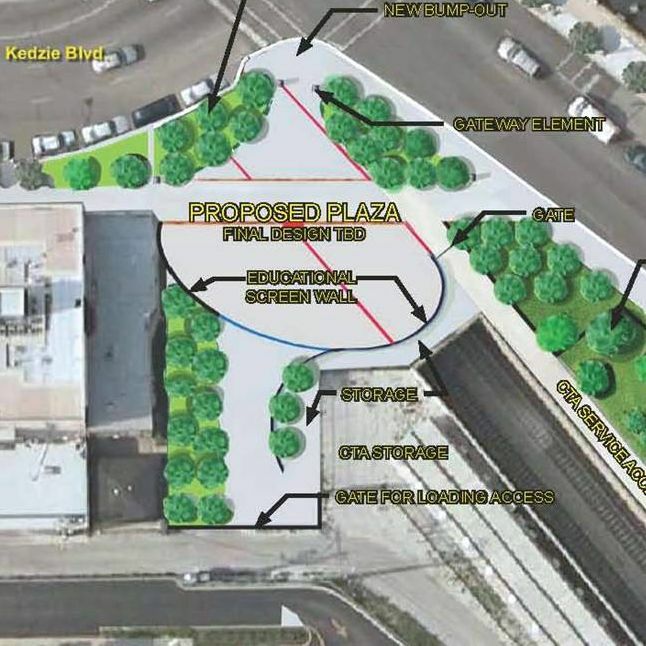 Any suggestions must be compelling as the city has already invested nine months and our tax dollars in paying a consultant to work with the plaza/orchard proposal presented August 17. The Vintage Bazaar modern pop-up flea market: Sunday, August 22, from 12:00 to 7:00 p.m. at the Congress Theater, 2135 N. Milwaukee Ave. This entry was posted on Friday, August 20th, 2010 at 10:33 am and is filed under Logan Square, Milwaukee Ave..	You can follow any responses to this entry through the RSS 2.0 feed. You can leave a response, or trackback from your own site. Do away with the orchard concept and just make it a green space with a few plants, trees and benches. I meant to attend this meeting but a conflict arose, glad you posted your thoughts. I’m not totally thrilled by the proposal, orchards are great and all but the idea of enclosing “public” space (and for whose benefit?) is troubling to me. A closed-off parcel at a busy intersection just strikes me as a bad idea all round, there are no doubt dozens of better suited locations for such a project. This is the distinction I don’t think the orchard advocates are getting. From my perspective, I’m not opposed to the idea of an orchard, I’m opposed to it at this location in a vital commercial corridor. While I recognize that the idea for this space since the Logan Square Open Space Plan (tho I disagree with it) has been to have public open space at this location, it has to be something at a minimum open to the public, and IMO meet a higher requirement of actually being engaging to the public so to contribute rather than detract from the commercial corridor. To rms’s comment, I wonder if the choice of walking on Logan isn’t because of the lovely architecture of the buildings and the mature shade trees making the stroll pleasant and being removed from most car traffic by the medians and service drive rather than because people chose to look at the trees. The orchard trees are never going to achieve the height and shade potential of the trees on Logan. If you’re thinking of the streetscape trees along the sidewalk, like the reclaiming of the roadway, that can be achieved with any proposal. I agree that there may be plenty of other spaces more suited to the creation of an orchard. However, I think this is really beside the point. The discussion we should be having here is what, if any, are the more suitable uses for this particular space? With the exception of Jason’s total green space comment, I have not seen a single alternative proposal for the use of this space. Please note that this space is currently an ugly, unmaintained lot. I do not understand why an orchard with a low gate (4′) would be worse for creating foot traffice to aid te businesses on Milwaukee Ave. than the current situation. If there are other suggestions for this space, please let me know what they are. As to the concern of C.R.O.P.’s ability to maintain its commitment over a period of time, it seems like the worse that could happen is that we have a lot with a bunch of unmaintained trees, which would most likely revert back to the City. While not the best case scenarios, it does not seem a total crisis. Lynn, I agree that people walk on Logan because of the architecture and the shade trees, but I still think any beautification of Milwaukee Ave. would increase foot traffic. Now that sounds really cool. Doesn’t Andrew Bird live on Logan Blvd? I know he and Ian Schnelling at Specimen guitars have collaborated on something like that. Don’t know if you caught the wording, but what I heard at the very end was Nelson asking people if they “could move ahead with this concept,” and then applause. I imagine that DPD feels it has the go-ahead to do what they’ve already been doing for almost a year. Again, I was surprised to hear that DPD is going forward with condemning the MegaMall on one hand (using huge sums of our TIF dollars) and doing this on the other hand. More shops and activity over here, and… a gated garden right next door. Baffling. @rms, Logan Boulevard provides joggers with one mile of relatively uncrowded sidewalks, with not a lot of stopping for people or for cars, and with an immersive environment: big shade trees and stately homes. Milwaukee Avenue cannot and should not provide any of those. It can provide a different immersive environment — one of a busy urban retail street, good for window shopping and people watching. An orchard would be truly out of place. Heck, the noise isn’t all that bad; I had an outdoor movie on this site earlier this week, and never missed a line of dialogue. The park at Wabansia & Leavitt is much noisier, and yet it’s often filled with sunbathers. Being new to Logan Square, this was the first neighborhood meeting I’ve heard of in the area. Luckily, a friend of mine from Berwyn is into the locavore movement, and she mentioned it to me. While I recognize there are some very serious concerns regarding the idea (and its alternatives) of placing an orchard and plaza at this intersection, I found it really exciting to see how many folks in attendance WERE from the neighborhood — I recognized more than 10 and I’m new here! I also thought the comments made by the attendees were, for the most part, quite thoughtful. I hope that if there are practical alternatives (is it just me, or do others think that a playground at that busy intersection might not be the safest/smartest option?) they are considered, but I agree with the comment that an orchard — let alone one with some educational outreach — sounds quite a bit better than the current use of that space. The noise-factor intrigues me — both the idea of a sound garden, as you’d mentioned, or the possible noise of traffic for kids. Growing up in the SF Bay Area, there were things like The Windpipes by Lawrence Hall of Science in Berkeley (or the Exploratorium in SF), the Windpipes were tall pipes of different heights and diameters, sunk into the ground, with openings at different places…they’d “whistle” and sounded like deep chimes if they clanging against each other in the stronger breezes, but the surrounding beauty and tranquility did much to help the piece resonate (excuse the pun). I wonder if putting a sound garden in that Milwaukee Ave. space would (a.) be drowned out by traffic etc or (b.) bother neighbors when the area was less occupied — I’m thinking late at night, in a storm or strong winds. Despite that, I think that’s a really creative, interesting idea and it could be quite exciting to see how the community might explore that further. I also love the idea of a greenhouse (you can take the girl out of Berkeley but you can’t really get the Berkeley out of this girl…). P.S: Didn’t mind the pun at all!